Taco and Marg, name a better duo. The Taco Marg crawl is back. 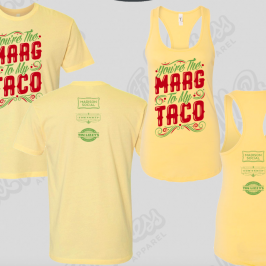 On Saturday April 27, we bring you three specialty tacos, three specialty margs and one awesome shirt. 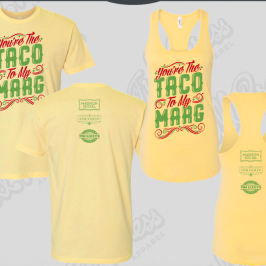 You get to choose whether you want "You're the Taco to My Marg" or "You're the Marg to my Taco." So coordinate with your taco marg buddy if you want that cute pic for the gram.